We, at Custom Wine Cellars Los Angeles, have always valued excellence. This is the reason why we make sure that all of our builders and designers are well-trained, highly skilled, and widely knowledgeable in their respective fields of expertise. We want to consistently meet our clients’ expectations and provide them with satisfaction by building effective, efficient, and top-quality wine storage structures. We are proud to have recently been accepted as a member of an elite construction group – Wine Cellar Designers Group (WCDG). It is our firm belief that in being an affiliate of this group, we can actively maintain excellence in our work. Excellence is not a destination but a continuous journey. To maintain excellence, one must not settle but continue to learn. It’s not enough to say, “I already know.” Instead, one must ask, “What more do I need to know?” A true master is one who always has a student’s heart. To be a true master in the craft of wine cellar construction, an expert should have an unquenchable thirst for more learning and further growth. This is one of the fundamental principles that we, at Custom Wine Cellars Los Angeles, hold onto. 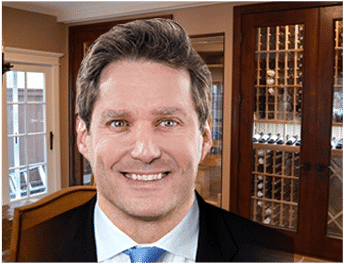 Through the many years of being in the industry, we have gained the reputation of trustworthiness in building superior quality residential and commercial wine cellars. The key to achieving and maintaining this reputation is continual learning – adhering to standards but keeping with the latest trends; non-stop learning and drawing inspiration from both colleagues and competitors, while staying true to our brand; and being up-to-date with the changes in technology and construction practices. With the goal of constant learning in mind, we decided to be part of an elite group of construction experts – Wine Cellar Designers Group. Wine Cellar Designers Group (WCDG) is an organization of builders, contractors, and suppliers that specialize in the construction of wine storage structures for homes and business establishments. This includes HVAC manufacturers, refrigeration maintenance providers, wine cellar designers, and construction experts. This group was created so that a standard guideline for building ideal wine cellars could be established. The mission of this assembly of experts is to uplift the quality of residential and commercial wine cellars built. The members of this elite group come from various places in the United States. Check out the list of members of WCDG by clicking here! Why Did Custom Wine Cellars Los Angeles Join WCDG? In our pursuit of maintaining excellence in our work, Custom Wine Cellars Los Angeles believes that being part of Wine Cellar Designers Group will help us be up-to-date with the latest trends in wine storage construction. Moreover, being an affiliate to an assembly of industry experts will help us learn the best practices from other builders and designers. Besides learning from the group and its members, we also joined this organization so that we could share our expertise in the art of building custom wine cellars to other affiliates. By sharing some of our best practices, we help uplift the standards of wine cellar construction. The exchange of expert knowledge and mutualism among the members of WCDG promotes a healthy relationship between competitors in the industry. There are two aspects to consider when building a custom wine cellar in Los Angeles: functionality and aesthetics. A standard guideline is necessary, so that these two aspects are met satisfactorily. Unlike other climate-controlled storage structures, wine cellars have specific requirements for it to be effective. Wines, unlike other beverages, require conditions to be met in order to avoid spoilage. The ideal storage temperature for wines ranges from 45 to 55 degrees Fahrenheit, while the standard humidity should be approximately 70%. Additionally, these conditions should not fluctuate constantly. A functional wine cellar needs to be able to provide these conditions correctly. Ideally, it should be wine storage expert builders who should construct custom wine cellars. This is because they are knowledgeable and experienced in constructing functional wine rooms. However, there are many general home builders and contractors that offer to build wine rooms. Since they do not specialize in wine storage construction, the structures they build fall short of providing the necessary conditions for protecting wines from spoilage. Guidelines, like those established by the Wine Cellar Designers Group, make sure that builders and contractors create wine cellars according to specific construction standards. This includes the right insulation requirements and installation, proper vapor barrier application, and appropriate refrigeration choice and mounting. Clients can make sure that their cellars are built by wine storage experts by checking if the builder or contractor they hire is a member of WCDG. Homeowners in Los Angeles have custom wine cellars built because it is considered as a desirable upgrade feature for their house. Business owners invest in commercial wine displays because a well-designed cellar can help attract customers and boost sales. The added benefit of increasing customer loyalty while boosting revenue is precisely the reason why the aesthetic aspect of a wine cellar construction is essential. Some builders and contractors try to keep construction costs low and maximize their profits by cutting corners and using substandard materials. The standard guidelines established by WCDG makes sure that all members of the group adhere to quality by utilizing high-grade materials only. Moreover, affiliate wine cellar designers only produce top-of-the-line designs based on the latest trends. Be the Best at Custom Wine Cellar Construction in Los Angeles – Join WCDG! Are you a builder or contractor of custom wine cellars? Do you manufacture wine storage refrigeration systems? Be among the best in Los Angeles! Know the standard guidelines for wine room construction. Join WCDG today! Call them at +1 (844) 608-4199!